April is about to bid adieu and extremely quickly may I add, because I can recall the first day of the month like it happened yesterday. 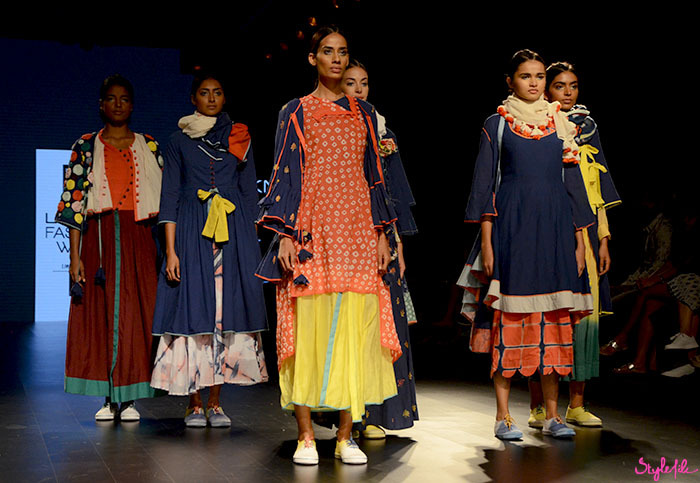 It all began at the Summer/Resort 2016 edition of Lakmé Fashion Week. While my boys handled Style File with ease; being a beauty editor meant five days of non-stop shows, interviews and coverage, all while looking fabulous. 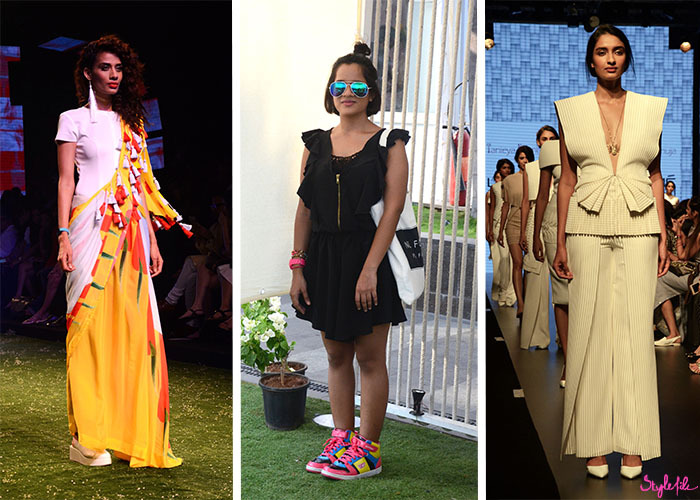 Fashion week has always been the event to put your style quotient on display (without crossing the line of trying too hard and looking like a circus) So this time, I decided to push my own fashion boundaries, just a little bit. 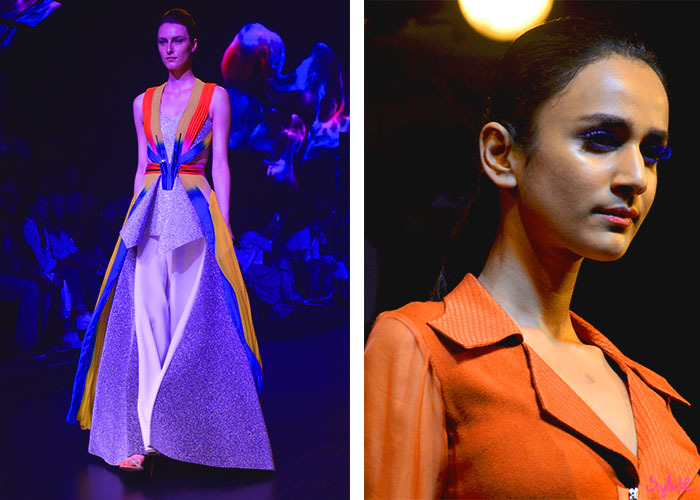 While I retained my own personal style sensibilities within each look, I took it a notch higher, from dramatic lips to statement sneakers..
Day 1 of Lakmé Fashion Week saw a burst of activity and hence, shooting for this post flew out of my mind. Thankfully, I snapped this rare selfie of my look before the day was underway. I complemented my pastel pink outfit with defined lashes and otherwise bare eyes, strobed skin and a muted mauve lipstick. Day 2 of Lakmé Fashion Week: Being high on energy and excited for the days to come, I went with a 'too cool to care' vibe. I paired a black detailed romper with bright accessories which included a girly watch, reflective aviators, a half bun in my hair and of course, my neon statement sneakers. 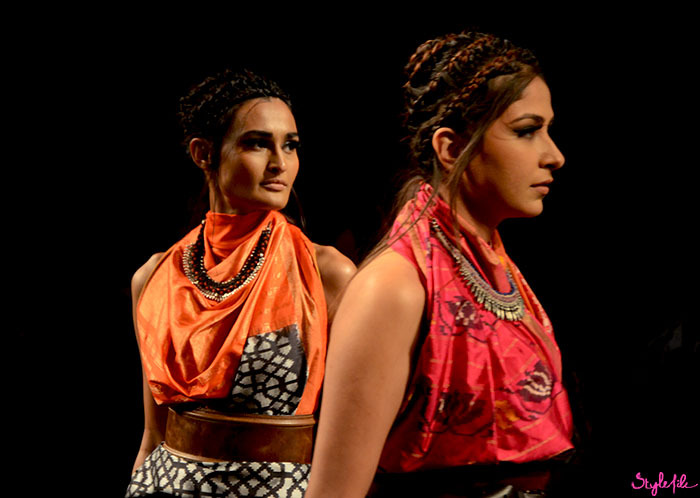 Day 3 of Lakmé Fashion Week: Being the summer resort season, I wanted my look to say that. 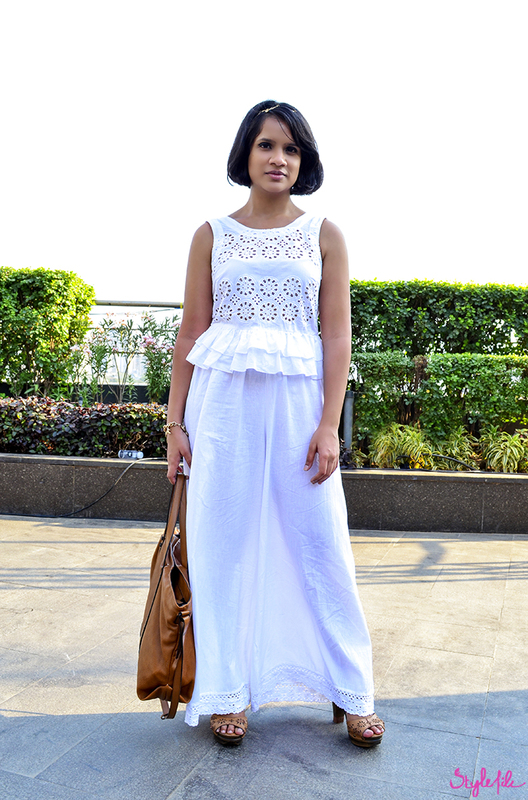 That's why I chose an all-white outfit by pairing a peplum crop top with palazzo pants. I then complemented the outfit with a tan tote, matching clogs, a chunky charm bracelet and a gold hairband. Day 4 of Lakmé Fashion Week - This is where I pushed myself the furthest. Dungarees, as a clothing item, reek of me so I paired it with a bodysuit and went for a 'skater-girl' vibe. That included hand-drawn sneakers, a messy bob, stark purple lips and a backpack. Bam! My personal favorite look of the season right there. Day 5 of Lakmé Fashion Week: By the fag end of Lakmé Fashion Week, I was running on very little sleep and far too much coffee. Yet, I was determined to look effortlessly chic right until the finale night. 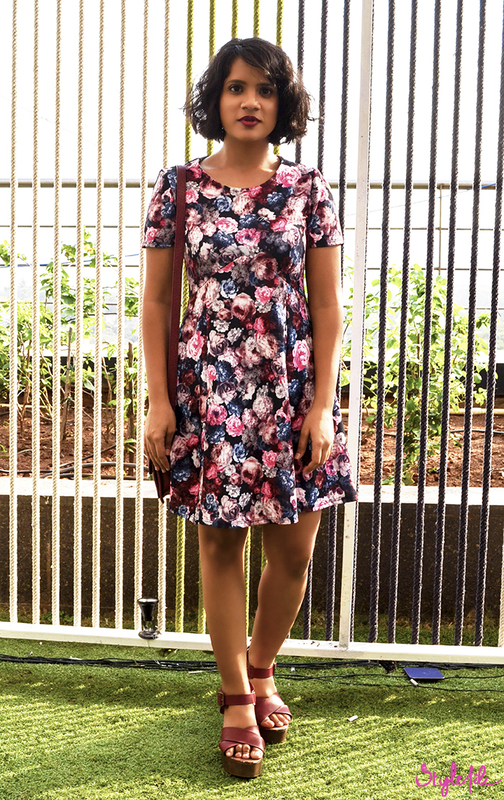 That's why I chose simple dark florals and experimented with matching burgundy accessories, a curly bob and dark lips. 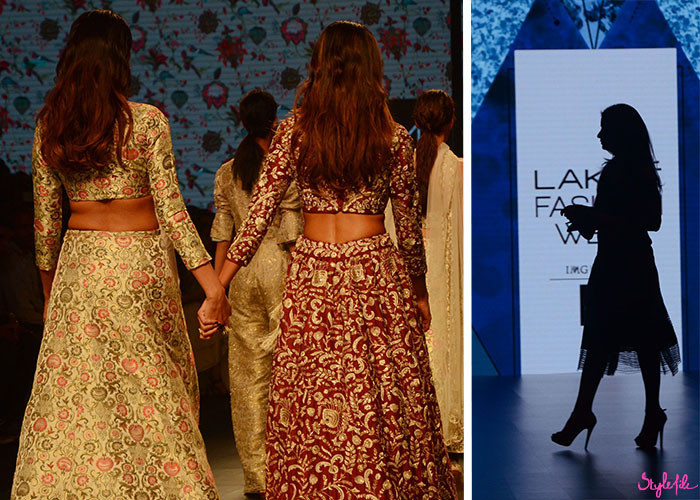 Hope you liked my outfits from Lakmé Fashion Week so don't forget to tell me which one was your favorite! 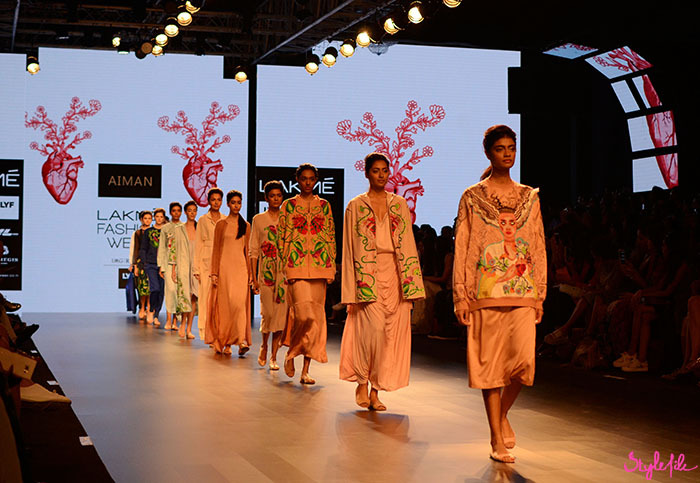 As with every bi-annual fashion season, the curtains closed with the extravaganza that is Lakmé Fashion Week. 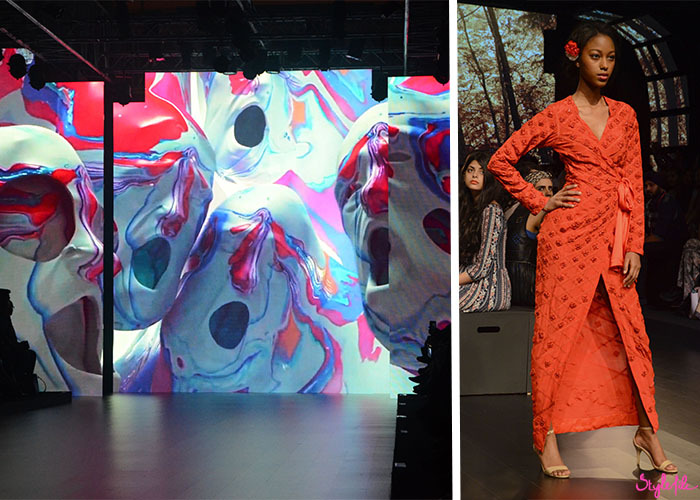 While Style File has been exclusively covering the event live for years now, this summer resort season was like nothing I've ever experienced. 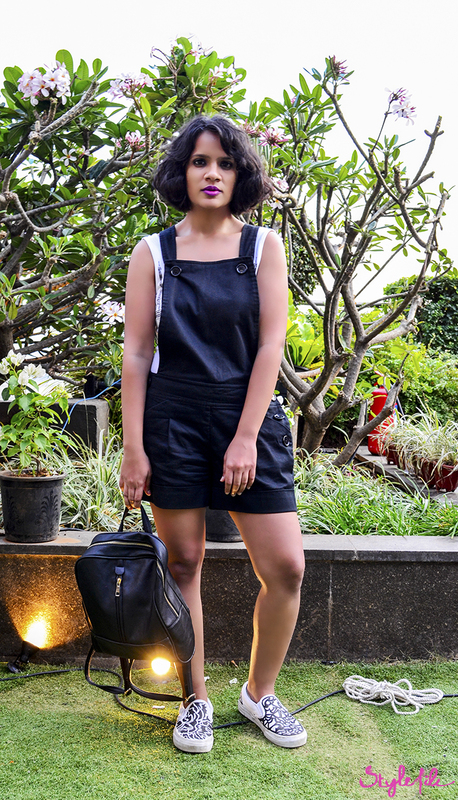 This time around, it was a jam-packed five days of juggling interviews and makeup decodes as a beauty editor as my boys smoothly handled the blog. From wrapping up the day at 4am to being washed over with the beauty of some amazing shows to even being featured for street style on the LYF terrace; it was immense! Actually, even immense is an understatement because it was magical and exhausting while continuing to amaze me and I wouldn't have it any other way. 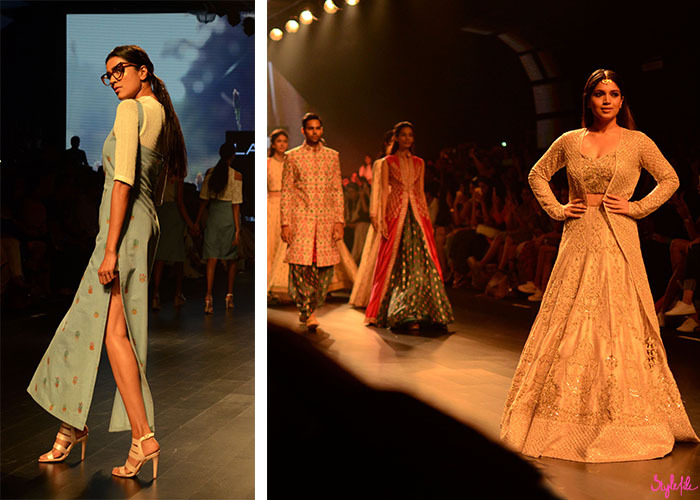 Here's a peek of what transpired during the five days of Lakmé Fashion Week S/R 2016. 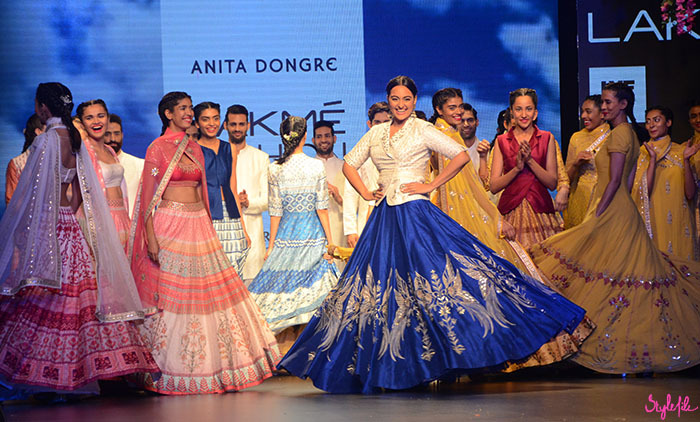 Sonakshi Sinha made sure Anita Dongre had a twirl-wind of a show! 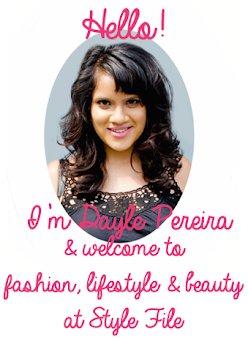 Hope you like the snapshots and get set for a deeper look into the fantastic fashion week that was!